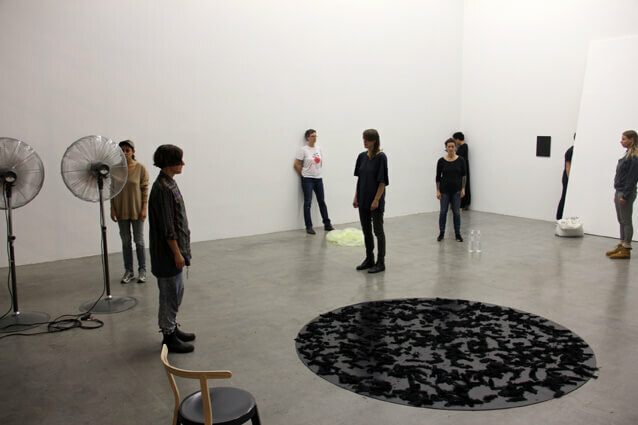 For this three-day action Malin Arnell has invited nine lives to each spend an hour in silence with her in the foyer of Swiss Institute. Katie Hubbard, Jess Arndt, Robyn Hillman-Harrigan, Fia Backström, Paula Garcia, Vanessa Anspaugh, Ulrike Müller, Clara López and Jen Rosenblit. On the evening of the 31st all lives will come together and share another hour.